It was one of the worst oil spills in US history. 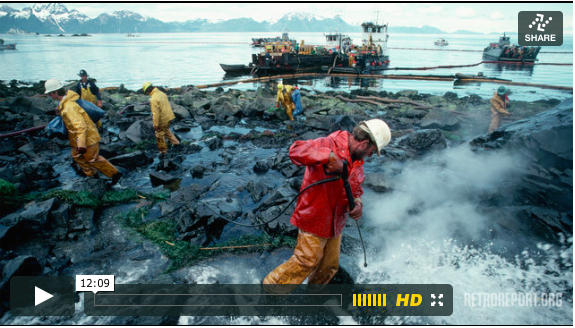 The Exxon Valdez hit a reef off the Alaska coast in March 1989, spilling some 11 million gallons of crude oil. We remember the images: Birds, seals and other sea life, covered in black crude. Oil washing on beaches up and down the coast. And many of us may think we remember the cause: The ship’s captain. He had been drinking, left the bridge and the ship hit that reef. But, it turns out, fault for the Exxon Valdez spill went way beyond the captain. A key question: Where were the supposed emergency recovery plans – equipment, personnel – oil companies promised would be ready for disaster? What we subsequently learned about those emergency plans – or lack of them – raised questions then that remain relevant and concerning even today.